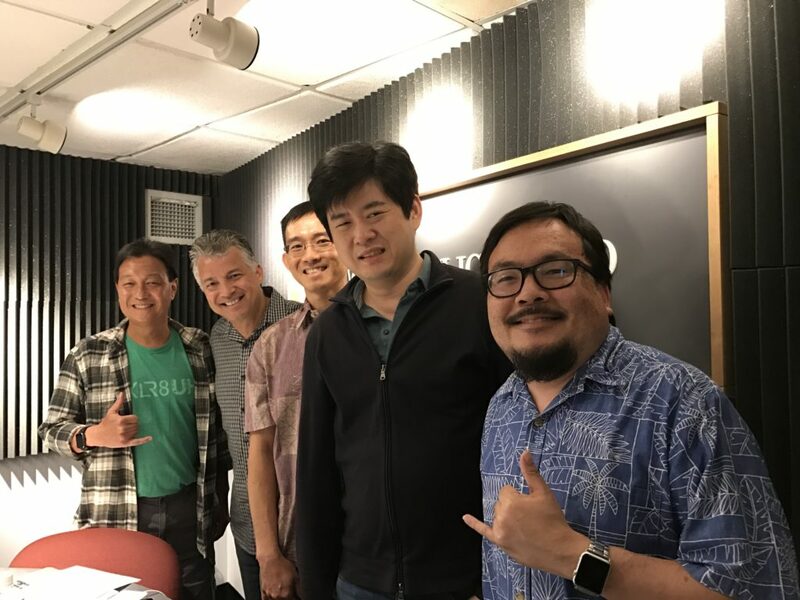 We kick off today’s show with David Neely from the Manoa Career Center to talk about the Hawaii iOS Developers Meetup group. 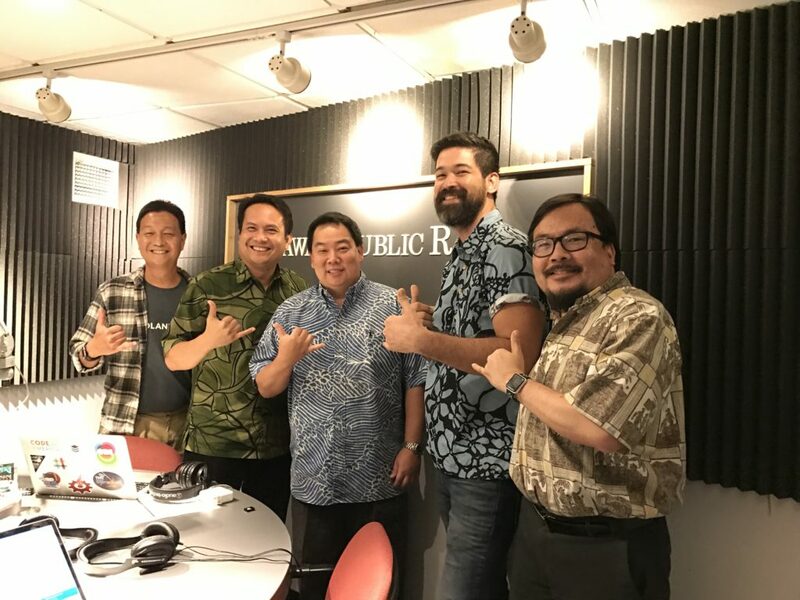 Then later in the show we talk to Representative Ryan Yamane, DBEDT Director Luis Salaveria and Jamie Hastings, Senior VP at CTIA, who joins us by phone, to talk about broadband, next generation 5G and bills HB625 and SB1201 moving through the legislature. We kick off today’s show learning about ‘Scholar’s App,’ a local tool to help students find financial aid with its founder Traven Watase. 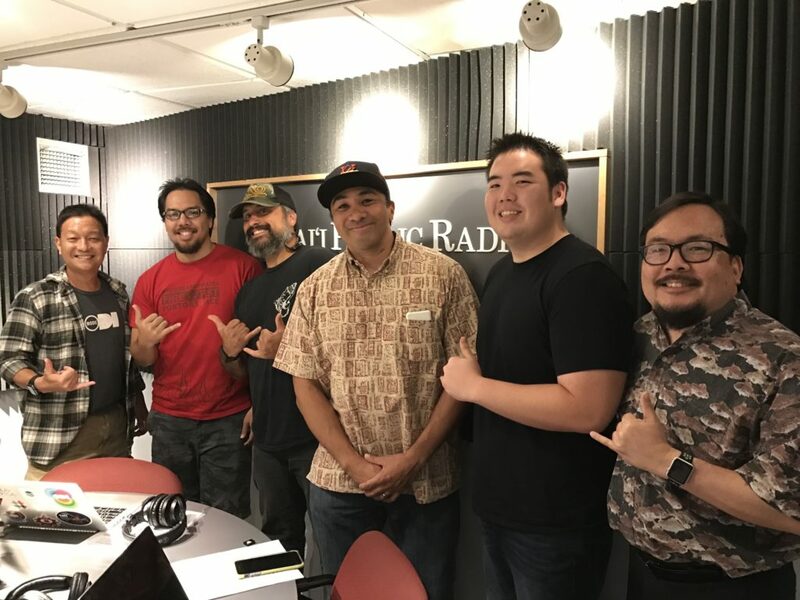 Then we talk to Donavan Kealoha, Kamu Enos from Purple Maia about the Purple Prize and Adam Laimana from team Waiwai and Halepili about building apps with Aloha ʻĀina. 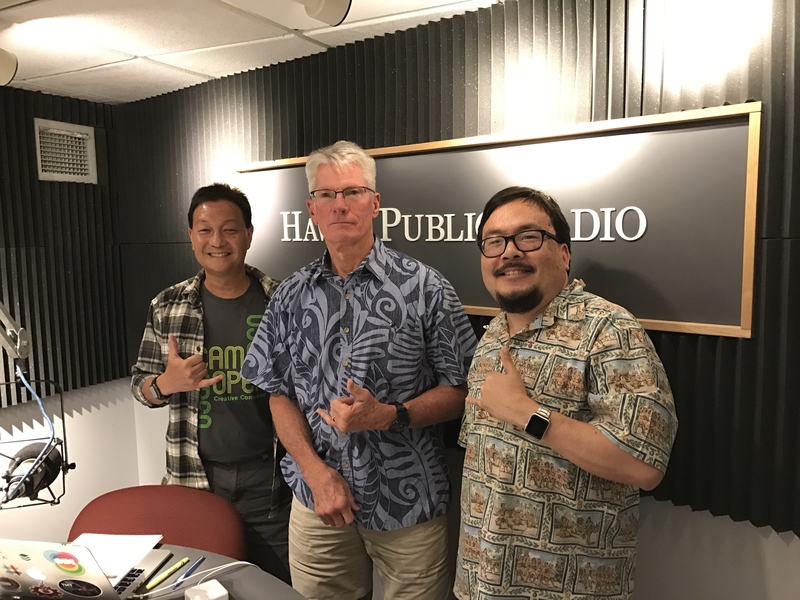 We kick off today’s show talking about the HPR mobile app… and we’re delighted to have Hawaii Public Radio general manager Jose Fajardo here in the studio to tell us all about it. Then we explore the world of cryptocurrency, the concept of the blockchain and a bill to create a blockchain working group moving through this legislative session. We talk with two experts, UH Associate Professor Lipyeow Lim and James Wang, CEO of Slickage. First we cover the Geek Beat and talk about the Nintendo Switch. 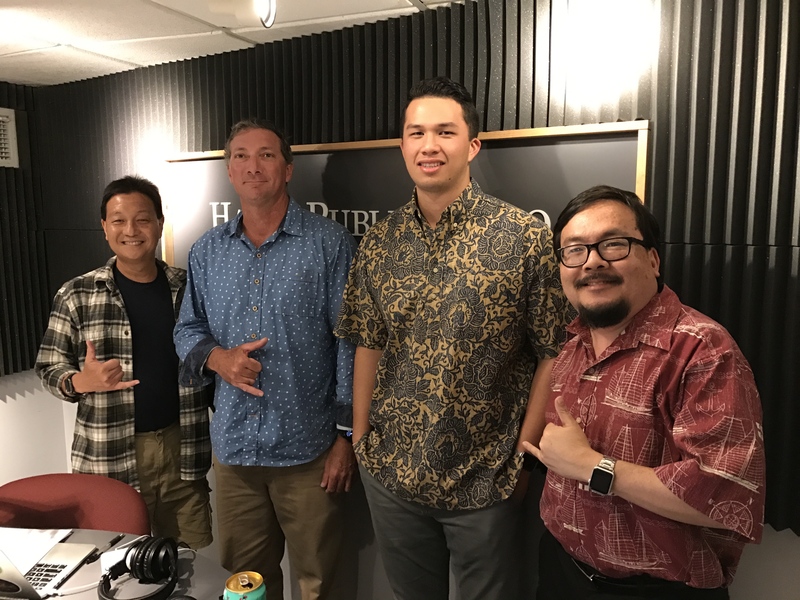 Then we check the local tech calendar and talk about the upcoming InnovateUH: A Startup Paradise Event Showcasing UH Innovation, “TEK Talk Story” on Virtual Reality and Purple Prize 2017: KICK-OFF. Finally, we talk to Luke Joseph from iFirst Medical and Kyle Chang from Health Tech Apps about the accelerator experience and building products for the healthcare market.